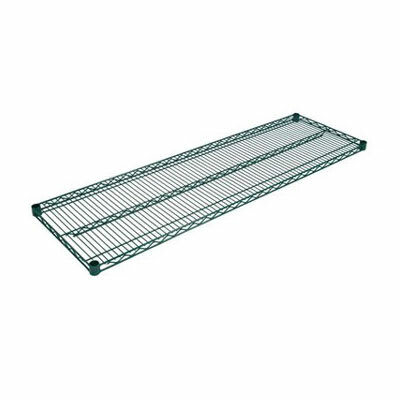 The John Boos EPS-2448-G wire shelf is coated in green epoxy, making the unit easy to clean and resistant to corrosion. This shelf measures 48 inches long by 24 inches wide to provide a large space for holding supplies or small equipment. The John Boos EPS-2448-G wire shelf resists dust buildup and is able to hold a maximum of 800 pounds of evenly distributed weight. More information on wire shelving can be found in our wire shelving article.